 ZenDev is a web development training and consulting firm led by KBall, former lead developer for ZURB Foundation. We provide resources, training, and coaching for developers and teams who are trying to level up in Front-end Web Development. One email of front-end articles, resources, and tutorials delivered each Friday. No Spam. Easy to Unsubscribe. Want a sample? Here's the archives. Excited about modern frameworks like ZURB Foundation, React.js, or Vue.js, but struggling to figure out how to bring them into your codebase? Work with an expert to both learn the technologies and develop a roadmap for migrating to them. Training custom designed for your team, drawing examples from your codebase and showing you how to apply that technology to your product without requiring massive rewrites or pausing feature development. Kevin is the most inspirational person I've ever met and has an endless knowledge of all things engineering. As a lead he has a great mix of smarts and compassion that is rarely seen. It's amazing to see him work. He's committed himself to being a student of design (and life) and can help bridge the gap between engineering and design teams. The class "connected the dots" for our team and gave us a road map for moving forward. We knew that we needed to change how we are doing basically everything, but we were stuck. We didn't have a clear picture of what needed to change or how to go about changing it without completely disrupting our run of business needs. Your site review and training gave us the outside perspective we needed to formulate a plan. We are much more confident now in the changes and have a solid plan for fixing our site. If you are not entirely satisfied with any portion of your training services, I will work with you to ensure your satisfaction or provide a refund for any portion of these services. I'm typically fully booked two to three months out, so reach out now to reserve your spot in my calendar.